It sounds like a simple question but “When is the best time to travel to South America?” depends on a huge number of factors. Consider for example that Brazil itself is a similar size to Australia or continental USA and you start to have an appreciation of how large the South America continent actually is. Obviously within this vast continent there are thousands of regionalised weather systems, ecosystems and geologically different areas. If you want a detailed explanation of how to best plan your trip, at the right time of year or for a certain duration then we’d recommend reading our “Nine ways to plan your South America Tour” article which is actually a combination of nine detailed articles with detailed explanations of how to plan your South America trip in different ways. These articles will give you volumes on information if you want all the nitty gritty details. But, to keep things simple in this article, we’ve huge proponents of the ‘travel here at ANY time’ credo, as no matter what month of the year you manage to get away, it’ll always be the perfect time to visit somewhere in this wonderfully huge and eclectic continent. Knowing the where, what and when is just the first step in planning an unforgettable journey. Between blistering winters, scorching summers, tourist high-seasons and inconvenient deluges, there are a few reasons why it helps to know the best places to visit each month in South America. So get out your diary, jot down your favourite places to visit and start planning your next extraordinary adventure to this marvellous continent. 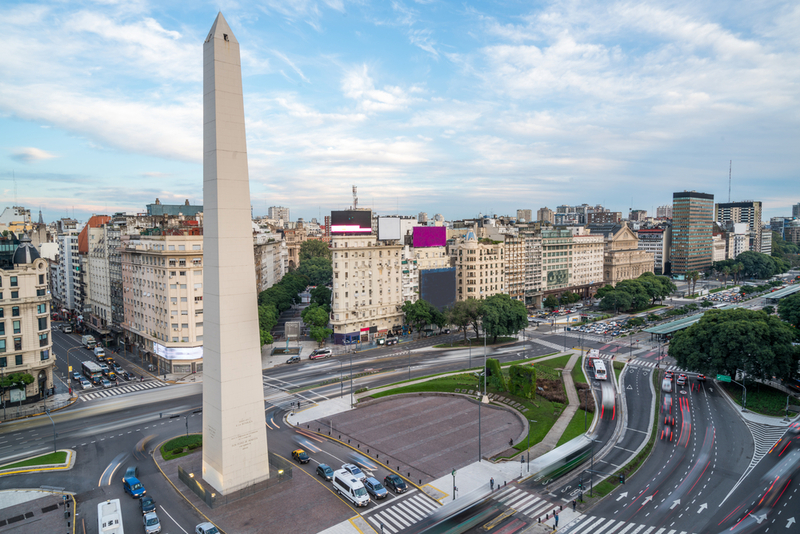 The Austral summer months are ideal for visiting the southern tip of South America, where harsh winters make travelling here more than a little inconvenient. Patagonia is in the throes of vibrant life in January, this being an ideal month to hike Torres del Paine, stand in awe at the spectacle that is Perito Moreno glacier, set your sights on Mt Fitzroy and enjoy the countless activities in and around stunning Bariloche. For an exceptionally unique adventure, you can also include a jaunt to Easter Island, Chile’s remarkable natural, cultural and historical destination that’s well off the well-trodden gringo trail. 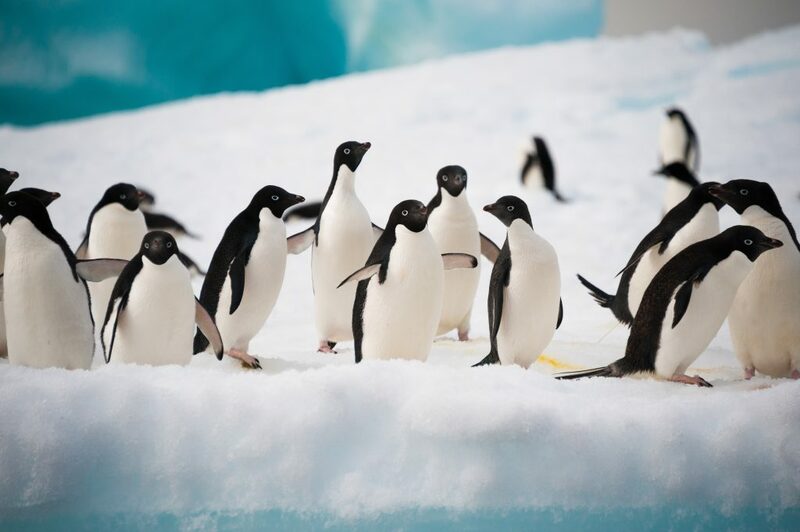 For a once-in-a-lifetime adventure, now’s the time to head way south to the end of the world and take an expedition cruise to Antarctica departing from Ushuaia. 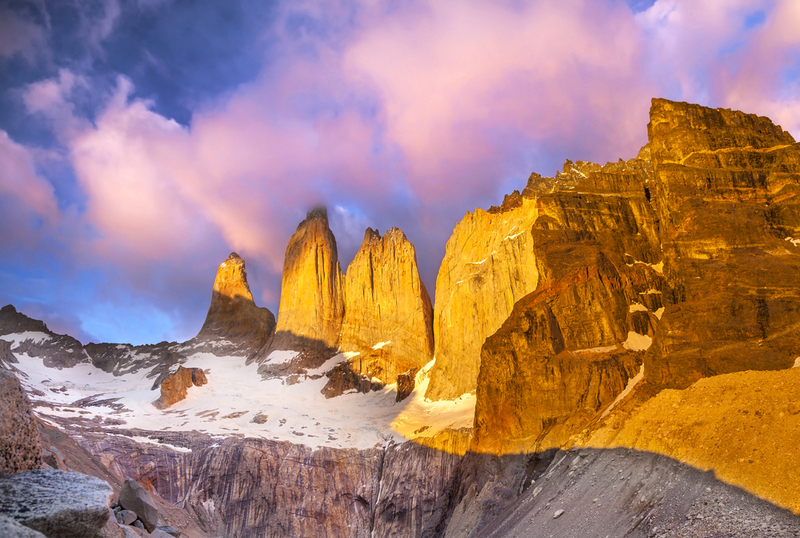 Explore Torres del Paine National Park in January. Photo credit: Shutterstock. 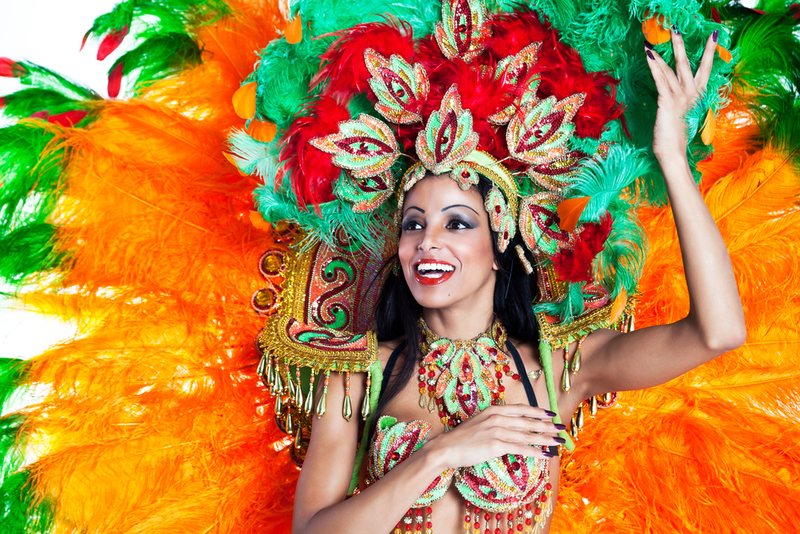 As the eyes of the world converge on Brazil and its vibrant carnival season, Rio de Janeiro becomes the most sought-after travel destination in South America. Be swept along the crazy Carnival wave and plan a whirlwind tour of this incredibly expansive and enticing country, right at the heart of summer. 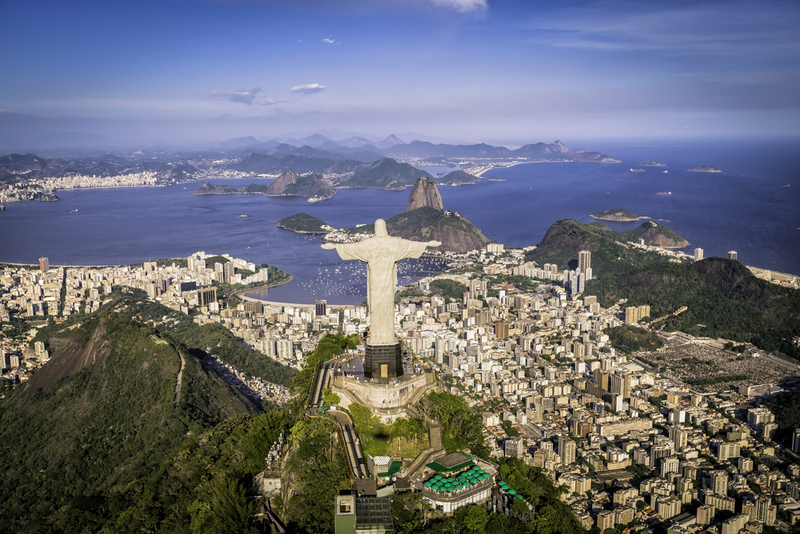 Along with a jaunt in the capital to soak up the festivities, include a few days in the seaside hub of Paraty and the stunning Emerald Coast, and include a side-trip to magnificent Iguazu Falls, one of the world’s most impressive natural treasures. If the summer heat is a bit too much for your sensitive soul, then head up to Central America instead. The dry season spells warm days and cool night in glorious Belize, Costa Rica and Honduras, where temps range between 21 to 27 degrees Celsius in February, perfect for jungle hikes, snorkel and SCUBA trips and to spend days on end soaking up the rays on endless stretches of glorious beach. From the Cloud Forests of Costa Rica to fantastic crossings of Bolivia’s Salar Uyuni and Chile’s Atacama Desert, March is perfect if you dream of extensive road travel, clear skies and wonderfully dry days. Much like October, March falls in that wonderful shoulder-season period which makes travel to South America very rewarding. The high tourist season has passed, as has the height of summer. This is one of our favourite months for tours through Patagonia. Temps will drop, sometimes even dramatically, but the colours of Autumn are absolutely breathtaking, with endless shades of reds and browns making this destination an absolute feast for the eyes. What’s more, March is perfect for budget-conscious travellers, with fantastic deals on flights, accommodation and tours, making some relatively expensive destinations within reach of those with fewer holiday-funds to spend. 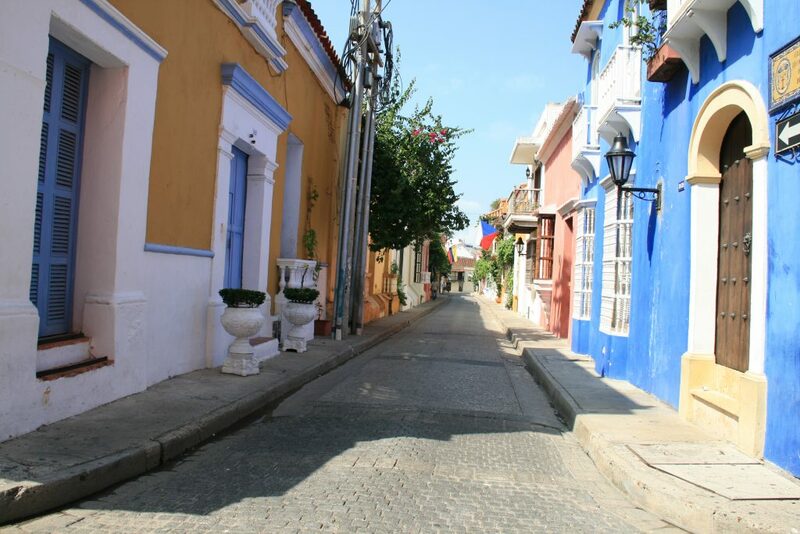 Late Summer is perfect for jaunts to Colombia, visiting historic Cartagena and basking in beautiful days spent in one of the city’s beautiful beach resorts. Back south and on to Chile and Argentina, where tours of wine regions, like the Maipo Valley and Mendoza, are immensely enjoyable. March really is a very special travel month in South America, as you can visit every inch of it – from the Amazon to Patagonia, Antarctica, the Andes and all along the coastlines, and find agreeable weather, fewer crowds and fantastic prices. This is the time your attention should be honed in on two of South America’s most revered meccas: the spectacular Galapagos Islands of Ecuador, and Peru’s mystical Machu Picchu. You’ll find the Peruvian Andes a verdant shade of emerald in April, with startling blue skies every day, and ideal daytime and nighttime temps. The rains in the Galapagos will start to greatly diminish by April, making diving and snorkelling even more idyllic. As one of the world’s most marvellous wildlife destinations, the Galapagos are an unrivalled highlight in the continent. May – head up to the Andes! 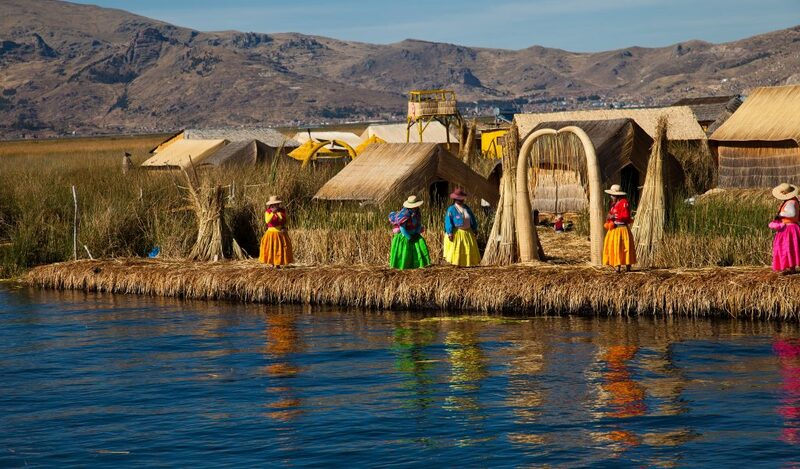 May marks the start of the dry season up in the Andes and for trips to Lake Titicaca and the Inca Trail, this month is perfect. High season is not yet upon us, which means you can visit the most famous highlights in South America and have them (almost) to yourself. Trips to Peru, Bolivia and northern Chile are divine in May, and you can look forward to a more than pleasant climate with little to no rainfall. The Inca Trail to Machu Picchu is just about perfect in June. The trail will be blissfully dry and days gloriously warm. Yet in June, you still won’t encounter the big tourist crowds. If you do have the choice, this is the perfect month for Peru, in general. On a whirlwind trip to the most visited country in South America, you can include a boat ride to the Ballestas Islands, hike the mighty Cordillera Blanca and enjoy an incredible adventure in Peru’s southern Amazon, where river levels dip dramatically and you’ll enjoy a much more comprehensive jungle experience. In Brazil, the Pantanal and Amazon are also enjoying a dry spell in June, so wildlife lovers can have an absolute field day trekking on land by foot or on horseback. The high Andes are still basking in dry season and although nights are cold, this s still the best time of year to visit Bolivia, a country which suffers from transport disruptions during the rainy season. 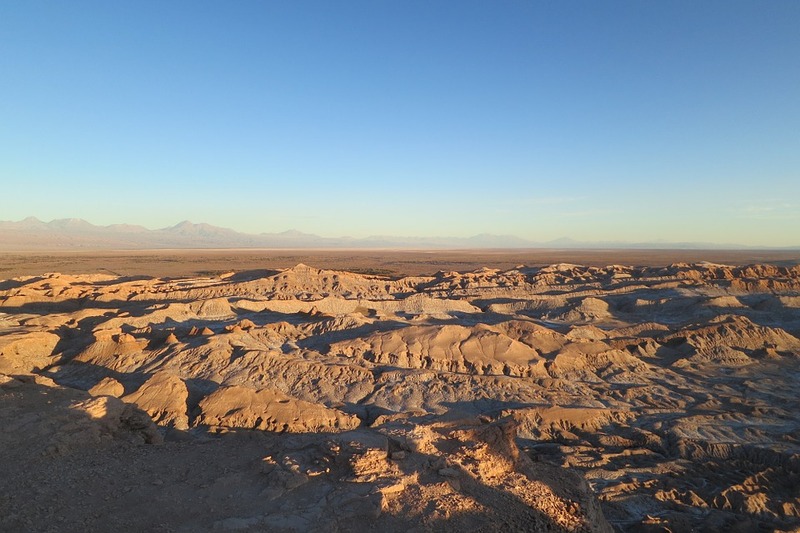 If you’re dreaming of an overland trip from Uyuni to San Pedro de Atacama, now would be an ideal time to tackle this unforgettable adventure. This is also the only time of year you can add a fantastic side trip to Rurrenabaque and explore the lesser-visited Bolivian Amazon. Take a short flight over the Andes from La Paz, and land on an Amazonian airstrip that’s little more than a grassy patch. Only in dry season can you indulge in this incredibly unique journey. Mexico’s Yucatan Peninsula basks in glorious weather in July, making for ideal comprehensive journeys throughout the country. Amazing Aztec and Mayan ruins, glorious beaches and great food (which, to be honest, is pretty great all year round) make this a perfect mid-year destination. 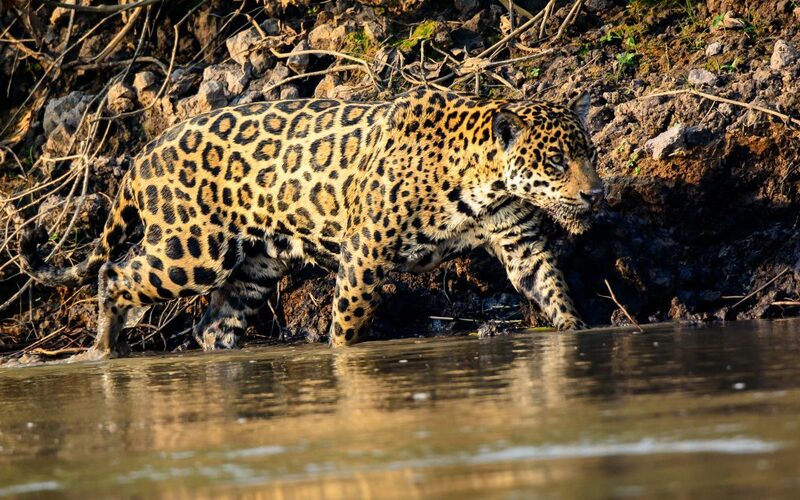 The Amazon will still be vying for your attention in August, which equates to the dry season. Although, this being the world’s largest rainforest you can still expect occasional downpours, of course. Trails are relatively dry which means you can spend more time on land and less in a canoe, and this is what makes travel here in August so rewarding. It will be hot and humid but there will be far fewer mosquitoes to cause you grief. Skiing aficionados will have the best piste at their fingertips in August. South America is home to some of the most wicked slopes on earth, and hubs in both Argentina and Chile attract snowboarders and skiers in droves. Santiago, the Chilean capital, is surrounded by brilliant ski resorts, as is the southern Argentinian hub of Bariloche. 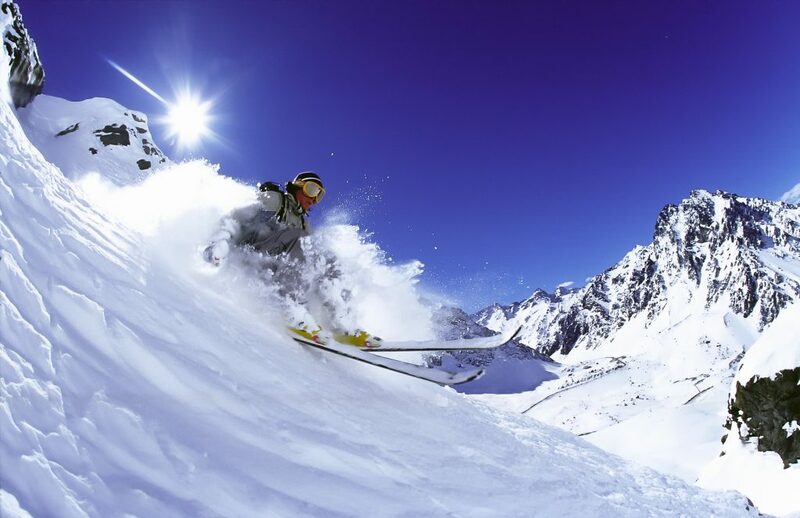 Although winter runs from June to September, August is the month with the most consistent snowfall, so if booking your trip ahead of time (which you should) this is by far the safest month to choose, if you want to have a premium powder guarantee. September – the perfect month of all? Indeed, it is! South America blooms to life in September and a concoction of circumstances create what is arguably the best travel month of all. If you can get away from home, that is. In Europe and North America, September marks the back-to-school season which means cheaper prices and fewer tourists for those who can get away. North of the equator temperatures will start to drop, bringing a relief to the heat of summer, whilst the south sees an increase in temperatures and the start of a vibrant Spring. In Central America, the start of the rains drive a lot of people away, yet the first two weeks of the month spell deserted stretches of beaches with still-perfect weather. Inland, the temperatures will cool so if you’re craving a road trip discovering ancient ruins, September will be ideal. Rio de Janeiro is absolutely resplendent this month, so if you missed out on visiting during Carnival season, this could be a fabulous choice too. The shoulder season is here again and now would be a great time to visit the two largest countries in South America: Argentina and Brazil. Why? Because a tour of discovery in such extensive nations calls for several internal flights, which can add up to quite a bit. In October, you can score some incredible deals so you can fit even more into your journey. The Amazon will still be in the throes of dry season, and beach destinations in both countries are perfect to visit during this month, but do leave beach days for the end of your October trip to guarantee warmer temps. This would also be a perfect month to visit Uruguay, so take a ferry ride from Buenos Aires to Montevideo and discover this incredible gem that still flies well below the tourist radar. Enticing cultural and historical highlights, as well as astronomically great food, make Montevideo a crowd favourite here at Chimu. Patagonia will start defrosting in October, so the skiing season will give way to the new hiking season, which begins here in earnest. The Spring flowering in October is simply divine and you’ll find cities like Buenos Aires brimming with stunning jacarandas in full bloom. This is also a great month for wine tours. 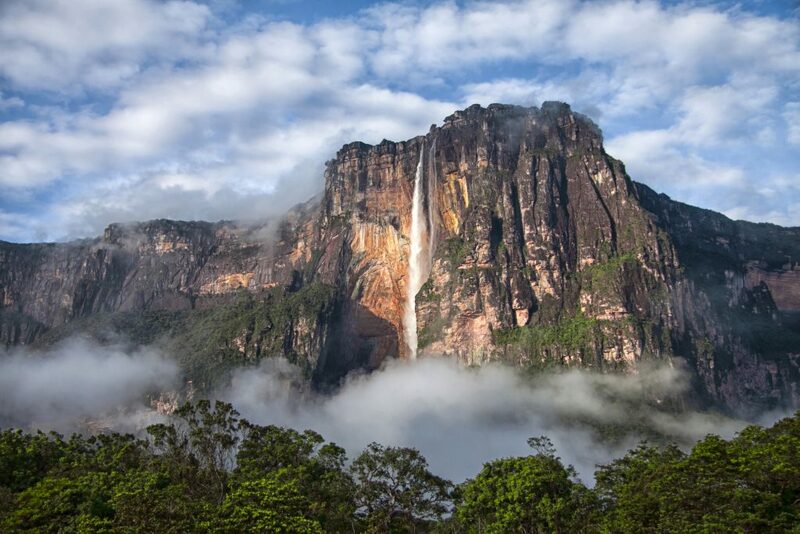 November marks the start of the dry season in Venezuela and the beginning of the month is a great time to cast your eyes on the world’s highest waterfalls, the superlative UNESCO listed Angel Falls. Water levels will still be high but fewer downpours means you can fit more into your days. Explore the islands off the country’s Caribbean coast and set off for a comprehensive tour of both Venezuela and Guyana taking in the best of the wildlife and wilderness for which both countries are so renowned. The Los Roques Archipelago National Park is a breathtaking archipelago made up of more than 350 pristine islands, harbours a fiercely protected ecosystem which offers glistening sandy beaches, turquoise waters and a myriad of wildlife. November is ideal for exploring this corner of paradise. November is actually a brilliant month for visiting any of the major capitals, especially if you can catch the Day of the Dead festivities on the 1st of the month, most notably celebrated all over Central America. December – tourist season is in full bloom, Antarctica is P.E.R.F.E.C.T. If you’re an active traveller, you’ll fall in love with South America in December. From ziplining through dense forests to hiking, horseriding, white-water rafting, mountains biking, rock climbing, kayaking, surfing, snorkelling, SCUBA diving and a million other active pursuits: all are on offer in just about every corner of the continent. This is the height of the busiest tourist season of all, and that’s not only because everyone can escape during the Christmas holiday season. In December, South America is your ultimate oyster, with all destinations offering immense rewards. From the northernmost tip of the Andes to the southernmost corners of Patagonia, the whole continent is primed for travel in December. As the tourist season takes hold all over South America, head to the quietest and most serene place of all: Antarctica. There’s a small window of opportunity to visit the end of the world and December falls right in the heart of it. Packed your bags yet? 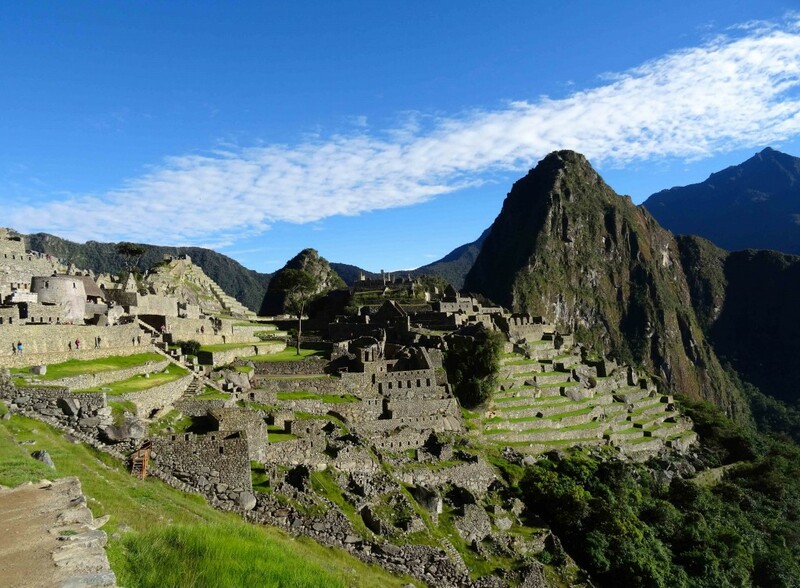 Let Chimu Adventures help you plan your unforgettable jaunt through South America. We’ll help you make the most of your journey, no matter what time of year you travel. Contact us for more info.